It’s cheesy comfort food in the morning. 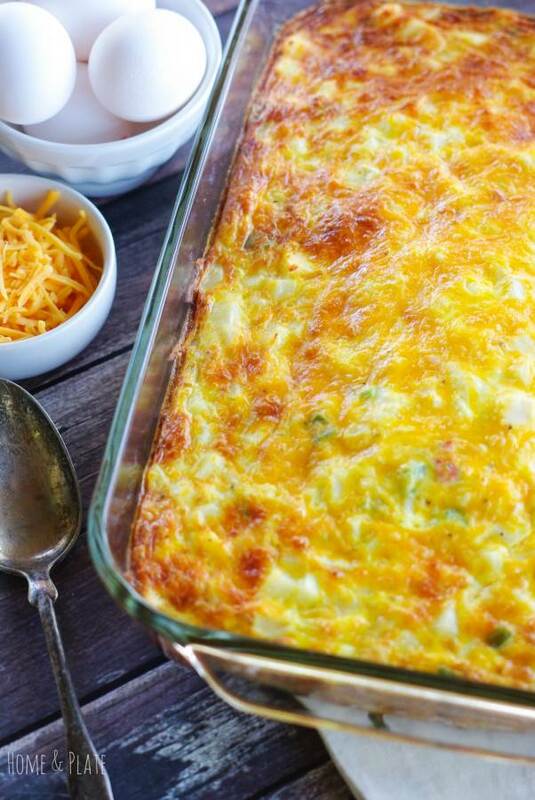 My Hash Brown Egg Bake Casserole is the perfect breakfast casserole to feed a group of hungry mouths. It was my turn to feed 30 plus hungry swimmers after a conditioning workout. I came up with this easy recipe and it was swimmer approved. It was important for me to create some kind of casserole containing protein and carbs that I could make the night before and could be reheated at 6 am. the next morning. When you’re cooking for a crowd having an easy to follow recipe with every day ingredients takes the stress out of providing a big breakfast. What ingredients should I use to make an egg casserole? Eggs are cheap and easy to find at your local grocer. They also pack a punch in the protein department. A few bags of frozen hash brown potatoes and shredded cheddar cheese and voila, breakfast is served! If purchasing plain hash brown potatoes, a little diced onion and red pepper would add great flavor. I chose a shortcut for this recipe and used O’Brien style hash browns which are loaded with peppers and onions. It saved me one extra step preparing this recipe. After all I was making more than one casserole. These 30 hungry swimmers are big eaters. Because there are a few vegetarians on the team I kept this casserole meat-free. But you could easily add crispy bacon bits or browned sausage to the recipe. An hour in the oven until the scrambled eggs are firm and the potatoes are soft is all it takes. 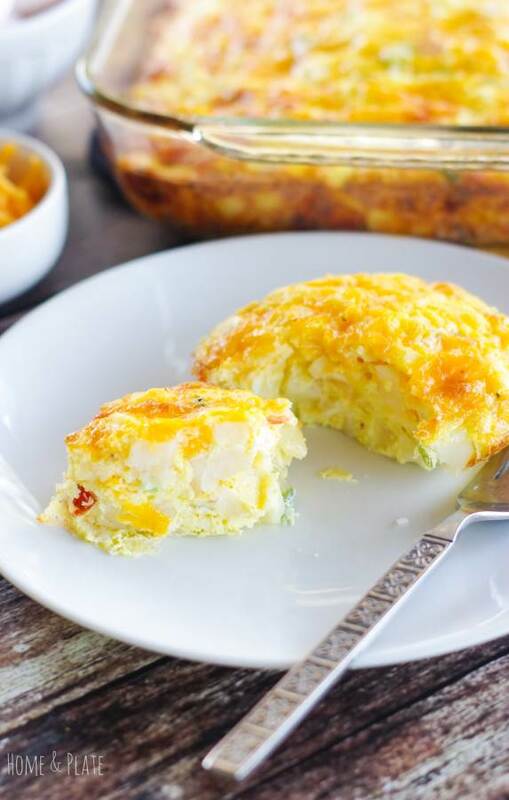 This hash brown egg bake would be perfect for any holiday breakfast. It can be made ahead of time, refrigerated and simply reheated in a 350°F oven for about an hour. Just be sure to cover with foil while reheating to keep the casserole from drying out. I also served these hungry swimmers my Apple Cinnamon Oatmeal Bake. 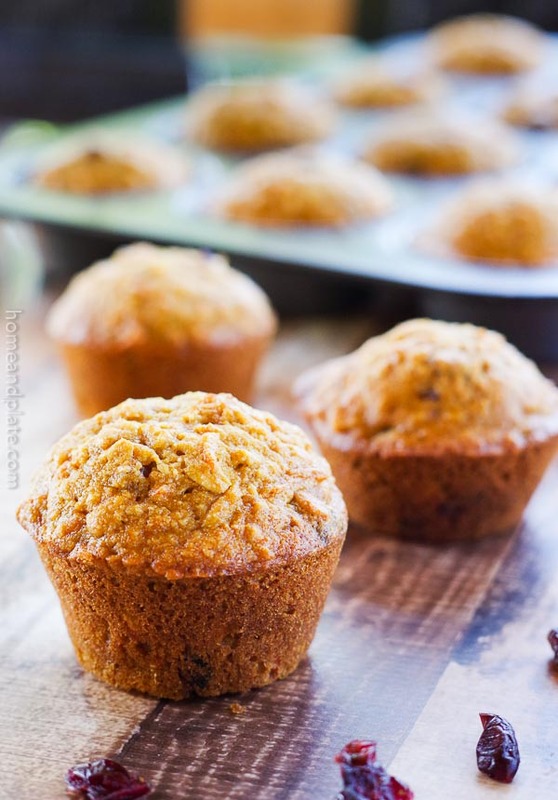 That is another great recipe chock-full of oats, sweet apples, crunchy pecans and plump juicy raisins. It serves a crowd and is a holiday crowd pleaser. Be sure to get that recipe too. It's cheesy comfort food in the morning. 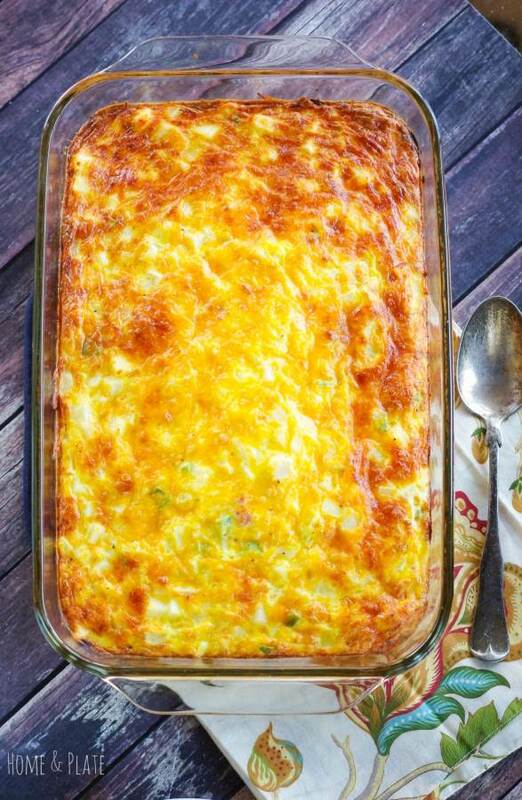 My Hash Brown Egg Bake is the perfect breakfast casserole to feed a group of hungry mouths. Preheat the oven to 350°F. Prepare a 9 x 13 inch casserole pan with cooking spray. If adding bacon, chop the bacon before frying. Fry the bacon pieces until crisp. Remove to a paper towel lined plate. Mix together the eggs and one cup of the shredded cheddar cheese. Add half the bacon. Season with salt and pepper. Add the frozen hash brown potatoes and mixed together well. Pour the mixture into the prepared casserole pan and top with the remaining 1 cup of shredded cheddar cheese and bacon. Bake for one hour or until the top is golden brown and the casserole is fork firm. Serve immediately. It’s an ideal breakfast for the holidays. 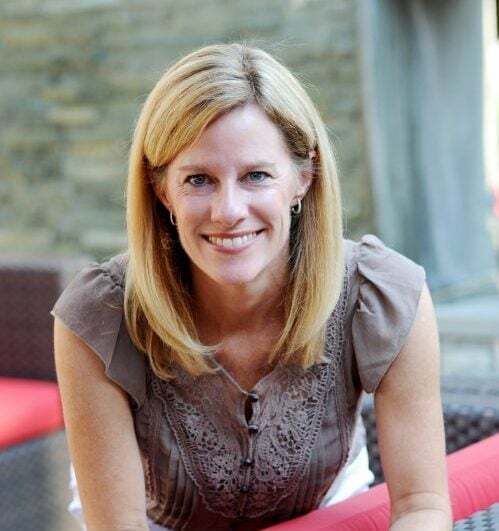 Thanks so much Stephanie. Yum!!! It looks and sounds SO comforting! Plus it photographs beautifully 🙂 Can’t wait to try it! Thanks Noor. It’s easy and comforting and perfect for a lazy weekend. What a simple and easy recipe! I love anything for breakfast you can throw together and bake, and have for more than one day. Perfect holiday morning meal! Thanks Sophia. Anything that’s easy to throw together is my kind of breakfast. This looks delicious! And I love that the ingredients list is small and it is easy to put together! Thanks Emily. Most the time these ingredients are already in my pantry and freezer. Easy to put together at any time. This is a very nice recipe for this coming holiday weekend, or a time. Thanks. I agree. A great holiday breakfast indeed. That is a great looking egg and potato bake. Real food.